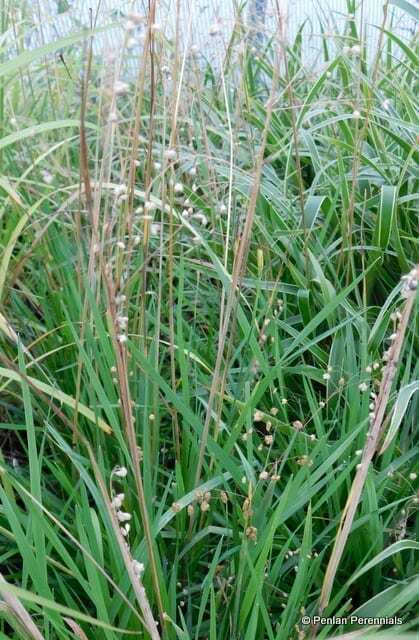 An evergreen quaking grass producing tufts of smooth, blue-green leaves with heads of green-yellow flowers that are sometimes tinged purple. Great as a vertical accent in the late season or grass border. Prefers moist, well-drained soil but is happy in even the poorest soil! Hardiness rating H6. Pot size 2l. Divide in mid-spring, cut back old growth hard or just comb out yellowing leaves.